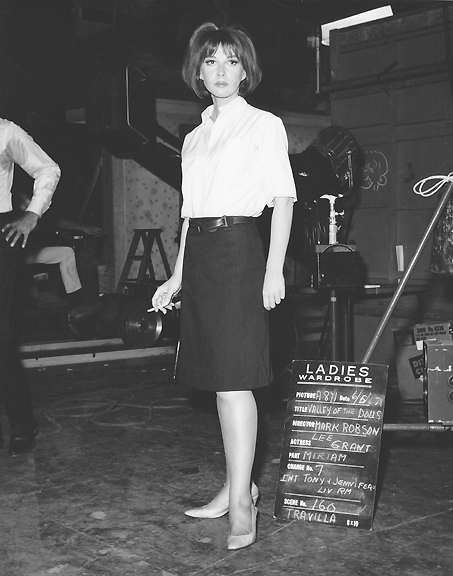 Miriam was the agent/sister of Jennifer North's husband played by actress Lee Grant. Watching out for her brother's career and money, Miriam spent very little on herself, knowing the future medical expenses of his crippling disease she's managed to keep secret - for now. Travilla conveyed her frugal ways, yet managed to keep her somewhat stylish. Grant was able to bring a touch of sympathy to a woman almost as cold, but not as successful as Helen Lawson. 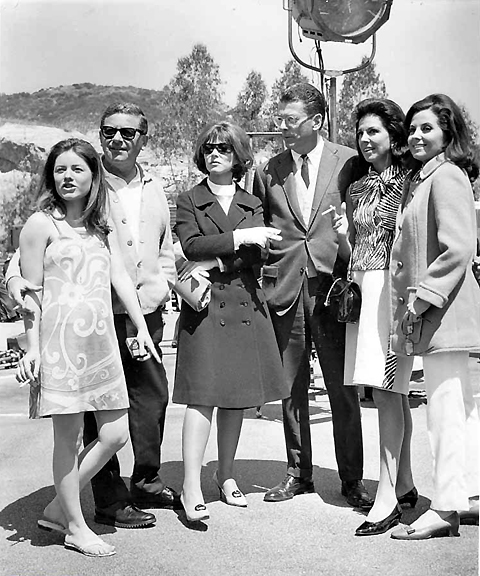 Patty Duke, Mark Robler, Lee Grant, unknown, Jackie Sussan and Barbara Parkins on-set. Her most memorable line is: "I'm gonna heat up the lasagna." However, she had a huge fan in Sharon Tate, according to author Greg King. 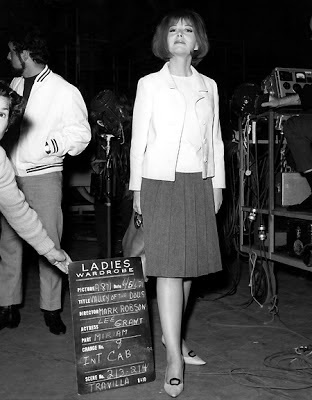 "She frequently commented on her admiration for Lee Grant, with whom she had played several dramatic scenes. 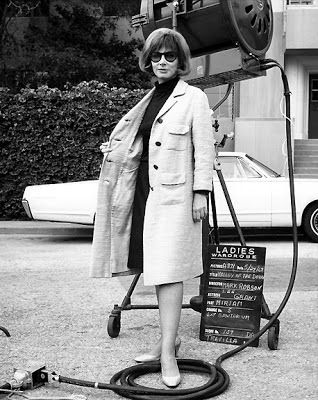 Tate was quoted as saying, "I learned a great deal about acting in [Valley of the Dolls], particularly in my scenes with Lee Grant...She knows what acting is all about and everything she does, from little mannerisms to delivering her lines, is pure professionalism." 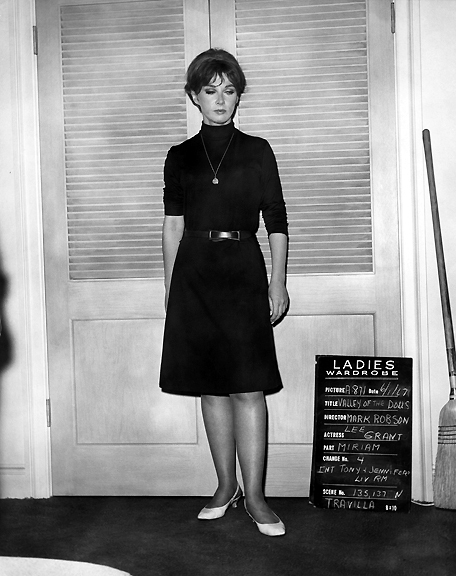 She did go on to much greater things. Check out her WIKI.